Find the best ip ethernet service for your location(s). We save you the time it would take to query many carriers to see what ip ethernet options are available to you. Using the world's foremost software, we find which carriers offer ip ethernet or similar services at your location(s). Many of these options can be shown to you via our automated quote system. Much of his life, Joe Budelis, our CEO and founder, has been in the business of finding the best solutions for real world problems. He received a Ph.D. from Harvard University with a dissertation on Optimal Economic Growth. He worked at Mobil Corporation for many years in the IT Department and then in the Real Estate Services. Just before leaving Mobil he was part of the small team that saved the corporation $125 million via energy management improvements. Now he works to help organizations find the most cost effective Telecommunications Carrier Solutions to satisfy their needs. We help organizations find the best Telecom Carrier service plans to satisfy their requirements whether the solution is DSL, T1, bonded T1, fractional DS3, DS3, ip ethernet, OC3, GIG-E, OCx DIA, PtP, VPN, voice T1, PRI, SIP, or MPLS. We have sophisticated software that allows us to quickly find which carrier plans are available at your location(s). And, we have an expert team that can use that info to put together options for you in a timely manner. You save the time that it would take you to contact numerous carriers to determine which ones can satisfy your needs and you have the benefit of our experience in assisting you in finding and choosing the best plan for your needs. You probably do not spend full time finding and choosing Telecom Carrier solutions. We do. Who do you think is best able to find and choose the best Telecom services? Are we expensive to use? Not to you! Carriers have found that it’s more beneficial to them if, instead of maintaining more employees (with benefits and other expenses), they pay experts like us to bring them customers who are a best fit for their Telecom Carrier services. Whichever carrier(s) you decide to use, even though your contract(s) will be directly with the carrier(s), as long as you place your orders through us, we will receive a commission from the carrier. You could think of us as your personal consultant or broker. 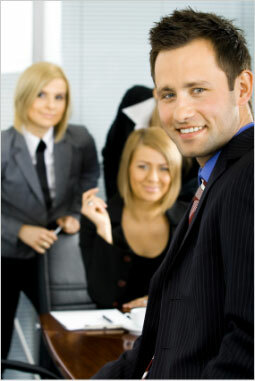 Many have used us as trusted advisors to greatly benefit their organizations. Not only do you receive the benefit of our Telecom experience in choosing your Telecom carrier services, but also we are there to assist you if there are hiccups during provisioning. Furthermore, during the term of your contract(s), if you ever are not satisfied with the performance of the carrier(s) that we connect you with, we will intervene on your behalf. Usually the carriers pay much more attention to us than to any one customer given all the business that we bring to them. With software like GeoQuote, getting a t1 price has never been easier. Finally you'll be able to use your time for real analysis rather than hunting down information. With the information in front of you you'll have the information you need to study out the right plan for you. Now you won't have to feel like you have to have a 45 minute with the local phone company just to find out how much your service will cost. As GeoQuote is an information service that's exactly what you get....Information without the sales pitch. GeoQuote is currently used by ShopForT1.com and several other licensees. Typically an agent will contact you after you have received your instant quote. Don't panic! These agents are not there to pressure you. Use them and their expertise to further investigate the services and carriers you see on your quote. We recommend the use of agents in any search for service and we also recommend using a broker to sign up for your service. Many people believe they can "beat the system" by contacting a broker to get pricing and other information as quickly as possible and will then go straight to the carrier believing they can get better service. This "end-run" process is actually a good way to cut yourself out of some of the biggest advantages of having a broker. Brokers don't mark up the price of services. They offer the same price you would get if you did go direct to the company. The advantage of ordering through a broker is that you will get a second channel of customer service. If the company is not performing to expectation you will always be able to go back to your agent/broker who puts a significant volume through the carrier. An agent/broker is much more likely to get the companies attention and have your problem solved. In our opinion, GeoQuote real time pricing and an agent/broker is the only way to go!